BrightSpark Ventures, Microsoft BizSpark, Rogers Ventures, and StartupNorth are please to co-present “An Evening with Yossi Vardi” on September 24, 2009 in Toronto. Like DemoCamp and other events, you need to purchase a ticket to attend. 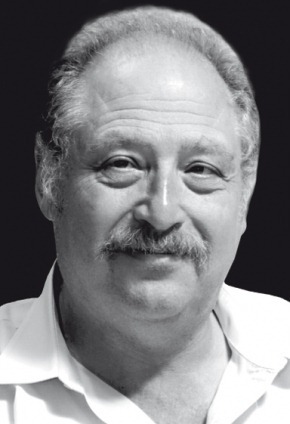 Did you catch Yossi Vardi at TechCrunch50? Check out Yossi questioning Canadian startup StorySomething at TC50. He’s a funny, relevant experienced entrepreneur that has helped build the Israeli software/Internet industry. And he’s going to talk about starting a company outside of Silicon Valley. He’ll talk about selling a company outside of Silicon Valley. 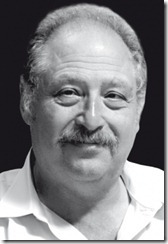 Yossi Vardi is one of the leading individuals in the Israeli software/Internet industry. Yossi has extensive experience in the public and private sector. In the private sector, he is probably the most respected investor in Israel; has served on many boards including Amdocs, Maariv, Elite, Scitex, Bezeq, Arkia, Elisra. In the public sector, he has extensive experience in technology, including helping to set up the VC industry in Israel via Yozma. He serves on the board of governors of Weizmann Institute and the Technion. He was the chairman of the Jerusalem Foundation, council member of the Open University of Israel and serves on the board of trustees of the Hebrew University. Vardi acted as an advisor to the World Bank and the United Nations Development Program on issues of energy policy and strategy in the developing world. He is a member of the World Economic Forum, serves on the Research Visionary Board of Motorola, and on the Future Trends Forum of The Bankinter Foundation of Innovation. He serves on the advisory board of Blackberry Ventures in Ontario, and served on that of 3i, was advisor to the CEOs of AOL, Amazon.com, Allied-signal, Siemens-Albis and others. Yossi was the founding investor of Mirabilis, inventor of ICQ – the well known Internet-wide Instant messaging product. Among the companies he invested in, or helped to build are Answers.com, Gteko (sold to Microsoft), Airlink, Tivella, Scopus, CTI2, Foxytunes, Tucows (Toronto based), and Starnet. In recent years Vardi has been active in fostering a culture of innovation and creativity in Israel and abroad. He founded the Kinnernet conference, an annual, three days gathering of creative people from all over the world. Vardi won the TechCrunch Europe 2009 "Best investor personality" award; He received an Honorary Doctorate from the Technion, Honorary Fellowship from the Open University, and twice received the Prime Minister award for life achievements in the high tech area; he was nominated as one of The Most Influential International Executives by The Industry Standard. Yossi, most recently, is an Angel investor in many Israeli startups and is now focusing on unique models of investing in startups. He is currently invested in many startups. Yossi is just returning from San Francisco where he attended the TechCrunch50 conference as one of the Panel of Experts. Great initiative, too bad I will miss it, need to be in California. Sorry. Enjoy and don’t forget to ask the hard questions. Great initiative, too bad I will miss it, need to be in California. Sorry. Enjoy and don't forget to ask the hard questions.